In many countries in the world in the beginnig of May is held a holiday - Labour Day. Somewhere it's May 1, and somewhere it's the first Monday in May. In modern Russia there is a holiday on May 1 and it is called the Holiday of Spring and Labor, or it is also named "May Day". The holiday is celebrated in many countries and it has political history. But now in Russia it's just a day off (and even several days), which everyone is waiting for. Initially, the history of this holiday begins in Australia from 1856, when the workers asked to have an 8-hour working day. Soon, in 1886, the workers of the United States and Canada also began to organize rallies and demonstrations, so that the government shortened the working day, increased wages and banned the use of child labor. During the demonstrations in Chicago ("Haymarket affair") people were killed. In memory of those killed on May 1, in 1890, a meeting in Paris, that was held by the first congress of the Second International, announced the commencement of the celebration of the Day of Solidarity of Workers of the World. Traditionally demonstrations were held on that day. On the territory of Russia this holiday appeared in 1901 and, like everywhere else, mass demonstrations were held on this day. But the state holiday appeared only in 1918 after the revolutions and the beginning of Soviet power (RSFSR). At that time the holiday was called the Day of the International and was already a non-working day off. 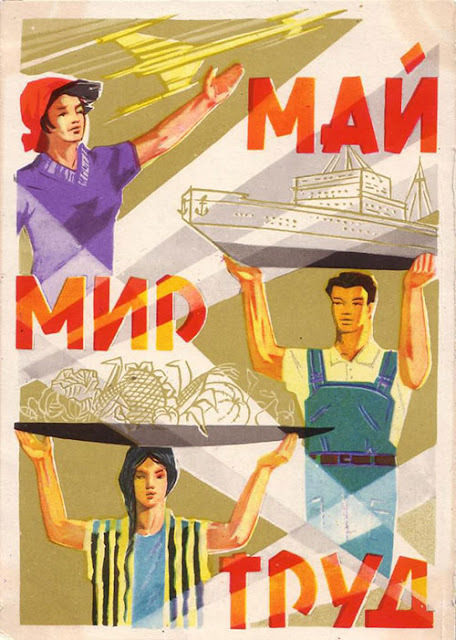 In the USSR, May Day was one of the most beloved holidays, as the government held mass parades with the slogan "Peace. Labor. May." Since 1972, a new name has appeared - the Day of International Workers' Solidarity - the First of May. " Traditionally, people rested for 2 days: on May 1, there were demonstrations and on May 2 (= "mayovki") were organized picnics. Now (namely, since 1992), the holiday has changed its name and no longer has any political character. But people are also carrying out the "mayovki", or the weekend in nature - they leave for dachas, make barbecue and rest with their family and friends. In 2018, holidays will last from April 29 to May 2.